NHL News : Report: Matthews take a big step in shoulder rehab, return imminent? Report: Matthews take a big step in shoulder rehab, return imminent? The superstar forward is looking good. 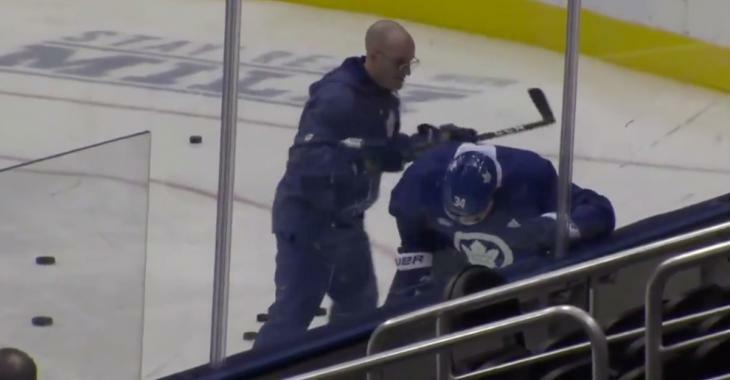 Injured Toronto Maple Leafs superstar Auston Matthews was seen on the ice this morning ahead of his team’s practice, testing his injured right shoulder with the team’s coaching staff. The fact that Matthews has been on the ice now for two days straight and that he’s putting some work in on his shoulder has to be seen as a giant step forward for the injured star.